The plate is very pretty and the owner is nice and reasonable with returns ! The license plate is very flimsy. When I read that it was aluminum I imagined it to be a lot more sturdy than it was. It's still a very cute design but I'm just not sure how long it will hold up seeing how easily it bends. Hi Amy, thank you for your review. 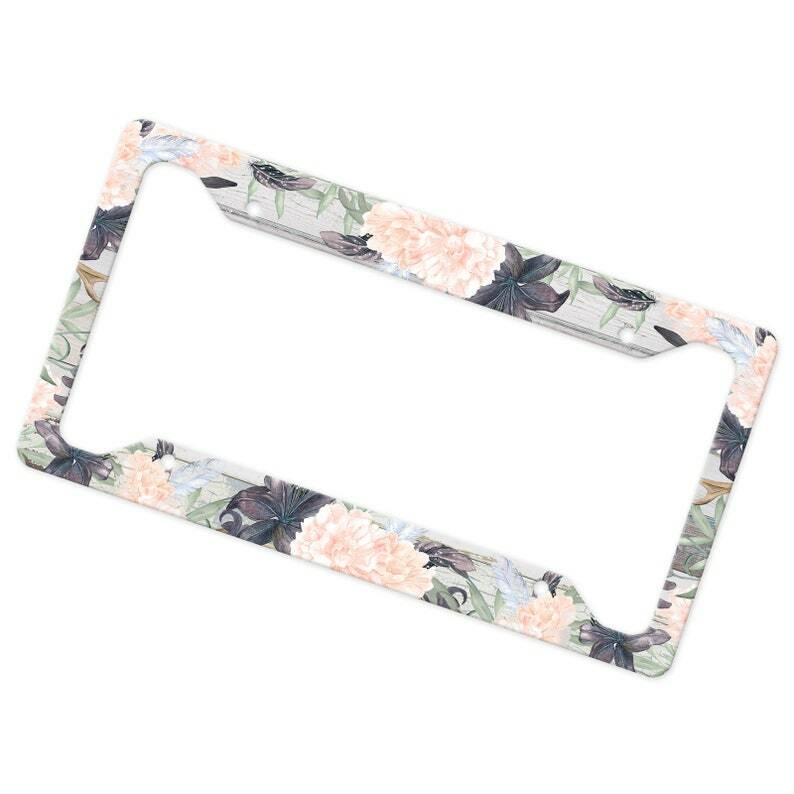 As indicated in the listing description for this item, these license plate frames are .03-gauge aluminum, which is an industry standard for this item. We have sold hundreds of these frames with positive reviews. I’m very sorry that was not your experience but appreciate your feedback.